Dimensions 1.50 by 7.25 by 10 in. The most detailed analysis of the techniques of Solomonic magic from the seventh to the nineteenth century ever published. This volume explores the methods of Solomonic magic in Alexandria, tracing how the tradition passed through Byzantium (the Hygromanteia) to the Latin Clavicula Salomonis and its English incarnation as the Key of Solomon. Discover specific magical techniques such as the invocation of the gods, the binding of demons, the use of the four demon Kings, and the construction of the circle and lamen. The use of amulets, talismans, and phylacteries is outlined along with their methods of construction. Also included are explanations of the structures and steps of Solomonic evocation, the facing directions, practical considerations, the use of thwarting angels, achieving invisibility, sacrifice, love magic, treasure finding and the binding, imprisoning, and licensing of spirits. 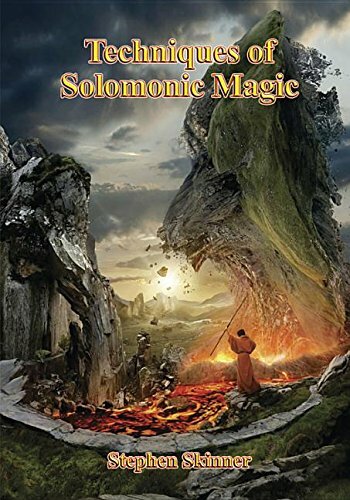 About: The most detailed analysis of the techniques of Solomonic magic from the seventh to the nineteenth century ever published.